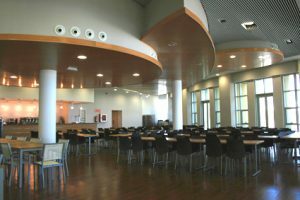 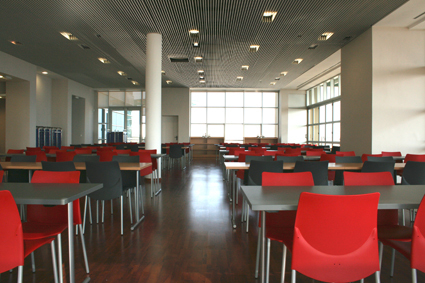 The two-story structure is situated at the center of the studio complex and serves all employees at the isolated campus with catering as well as dining services. A variety of dining options are available including three private dining rooms, a bar, and a 222 seat dining room. 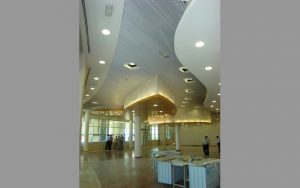 All public spaces are oriented along the eastern wall to take advantage of the spectacular views of the Mediterranean Sea.